Despite the simple graph below depicting software-as-a-service (SaaS) market size, the space remains difficult to sum up. In the eyes of customers, SaaS options are proliferating and spanning a wide swath of business functions and stakeholders. Yes, SaaS is the largest segment of the “as a service” cloud market—and yes, it will continue to expand. Beyond that, however, SaaS will remain a collection of separate markets, with most vendors specialising in one or two core and adjacent areas, instead of one unified opportunity. 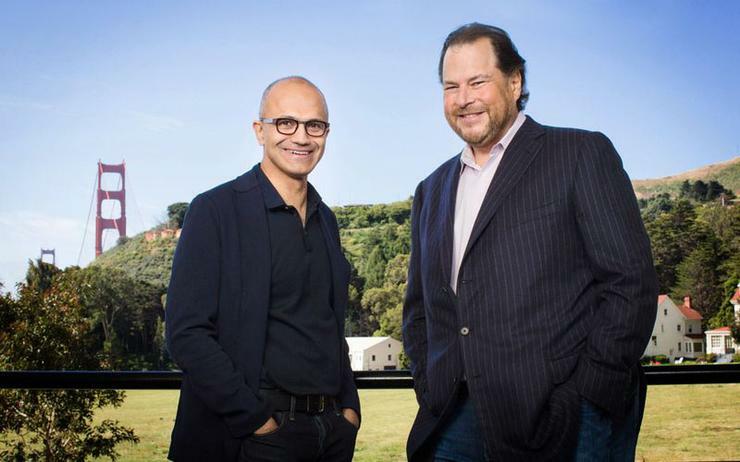 Some examples of this fragmented and overlapping landscape include Microsoft leveraging collaboration dominance to reinvigorate its CRM strategy with cloud delivers, SAP returning its focus to SaaS CRM after ceding the market to Salesforce, and Workday investing to build out a financials-focused SaaS business from its HR roots. The market behaves in contrast to the infrastructure-as-a-service (IaaS) market, which is highly consolidated around a standard set of often interconnected services and a small collection of vendors. In the SaaS market, growth will be achieved by new vendors addressing new workloads and features. From a vendor standpoint, there will be greater presence from legacy application providers such as SAP, Oracle and Microsoft, but also plenty of room for more niche providers as functional and regional niches develop. While SaaS will grow the overall cloud opportunity, the challenge for vendors is that the SaaS opportunity will be more difficult to capture. That is not to say the historical model for SaaS adoption will cease to exist; there will still be SaaS purchases that are driven by lines of business (LOBs), transacted with a credit card in some cases, and deployed separately from legacy systems. At least some of the growth will continue to occur in that shadow IT model. However, much of the growth will be from SaaS solutions that deliver more critical services, are procured by joint IT and LOB teams, and are tightly integrated with legacy systems. These scenarios will require vendors both large and small to up their ante, bringing more sales, integration and support services to the table to win these more complex deals. 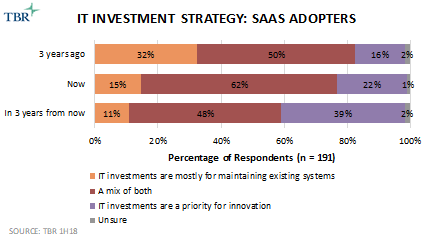 The vendor landscape may be consolidating on the IaaS side of the cloud market, but that is not the case for SaaS. 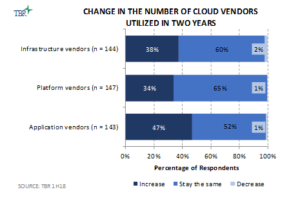 As seen below, customers are most likely to increase the number of SaaS vendors utilised over the next two years, supported by a number of market trends, including new workload and feature adoption, platform ecosystems, and integrated multi-cloud deployments. For workload adoption, there is a levelling of the playing field for which services customers are considering cloud as a deployment method. ERP, for example, used to lag in public cloud adoption but is now much closer to par with often adopted services like CRM and HR. Much of this increased consideration comes from enhanced comfort on behalf of customers for delivering sensitive workloads from cloud providers versus their on-premises data centres. The other factor is the proliferation of complementary services available via platform-as-a-service (PaaS) ecosystems. The most tenured and largest example of this comes from the Salesforce Platform, which supports thousands of independent software vendors (ISVs) developing and selling solutions that complement and extend core CRM. Salesforce may have been the first, but other SaaS vendors, including SAP, Workday, Microsoft and ServiceNow, are taking the same approach, exponentially growing available SaaS services. The last driver is the continued rise of best-of-breed customer purchasing. For contracting and performance reasons, customers have long yearned for multivendor application environments, and now vendors are actually moving to accommodate that desire. Salesforce’s acquisition of MuleSoft and SAP’s introduction of the Intelligent Enterprise vision are the latest examples of how vendors are supporting customers in choosing and integrating solutions from numerous providers. There may be a growing pool of revenue and room for more providers, but meeting customer expectations for SaaS solutions is anything but easy. Read more Is Adobe about to buy Marketo? Expectations have been on the rise, stoked by the greater control buyers have with cloud solutions versus on-premises software. The days of long-term software contract risk falling entirely on the customer are quickly coming to an end. Not only has the power dynamic shifted, but, as shown in the graph below, customers are successfully using more of their IT dollars to fund innovation over maintenance of existing systems. As a result, different evaluation criteria are being used for IT investments. Up front, there is a much more collaborative process between IT and LOB teams as they decide which offerings meet their underlying business need, not just what fits into their existing footprint. Calculating the benefits and return from SaaS investments is also a challenging task, as deployments use business outcomes as the ultimate goal. Although hard calculations seem challenging for most customers, it’s clear that enhanced levels of support and “customer success” roles are increasingly valued. Having these post-sale resources available and putting a greater focus on outcomes and other intangible benefits than on technology benefits seems to be the best way for SaaS vendors to meet inflated customer expectations for what the solutions can and should do for their business.